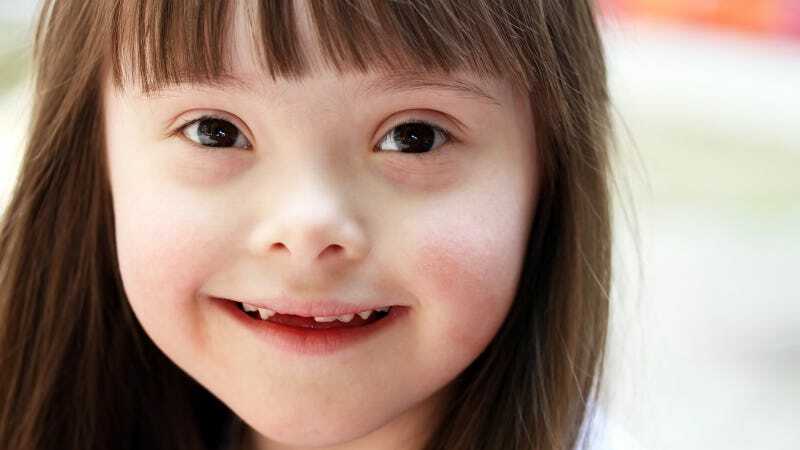 One in every thousand or so babies born today will suffer from Down Syndrome, a genetic disorder caused by the presence of a third copy of chromosome 21 that results in learning disabilities, a heightened risk of bowel and blood diseases, and a severely heightened risk of dementia later in life. But a radical new genome treatment method could hold the key to turning off that extra chromosome 21 like a light. Normally, every human carries 23 chromosome pairs which provide the genetic blueprint by which the body operates during its life. However, people with DS have either a partial or full extra copy of chromosome 21. This superfluous genetic data causes the symptoms commonly associated with the disease. However, a team of researchers from the University of Massachusetts led by Dr. Jeanne Lawrence have just published some exciting study results in the journal Nature suggesting a potent new treatment method for DS. The UMass team employed a technique known as "genome editing" to inject the XIST gene into the extra chromosome of cells cultured from DS patients. XIST is a gene vital to embryonic development. It plays a major role in gender determination by silencing the second X chromosome thereby turning the fetus male (if it doesn't turn on, the second X chromosome remains active and the baby will be female). It's this genomic silencing ability that Lawrence's team exploited against chromosome 21. After inserting XIST into the extra chromosome, the body coats and smothers it with RNA, effectively turning the chromosome off and halting the effects of its expressed genes. Individual cell cultures treated with this technique showed stronger, faster growth. Lawrence's team hopes that this breakthrough will someday help alleviate the early-onset dementia that some 60 percent of DS patients suffer from by the time they hit 60 years. It could potentially—and the possibility is very remote at this point—eliminate the disease entirely through a prenatal gene therapy. What's more, the technique has already shown promise with other similar diseases such as Edward syndrome (triplicated chromosome 18) and Patau syndrome (triplicated chromosome 13). As the Nature study exclaims, this "surmounts the major first step towards potential development of chromosome therapy". It is not, however, the magic bullet science is looking for. "The long-range possibility—and it's an uncertain possibility—is a chromosome therapy for Down's syndrome," Lawrence explained to The Guardian. "But that is 10 years or more away. I don't want to get people's hopes up."